Improve your hazard identification processes to keep people safe using a complete hazard identification tool and safety management system. Make hazard identification, tracking and rectification easy for people on site - and simple and organised back at the office. Complete safety forms and reports from anywhere on any device - mobile, tablet or computer. 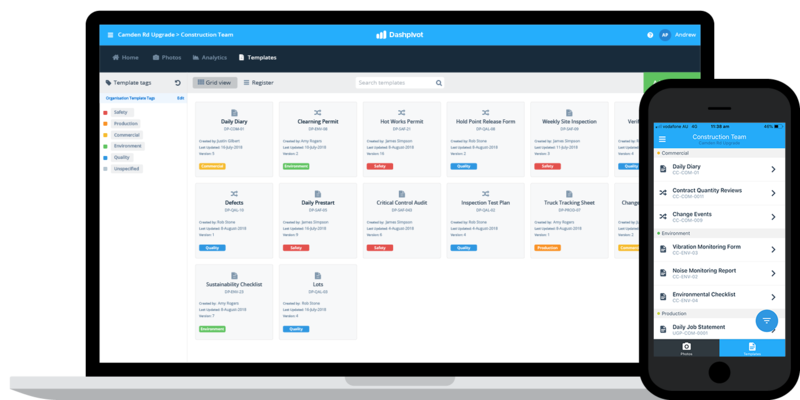 Access and complete safety reports in the office or on site, with all of your identified hazards being securely stored and accessible in real-time. As soon as you identify a hazard, everyone else can know about it. Capture, attach or upload photos of what's happening, as it happends. 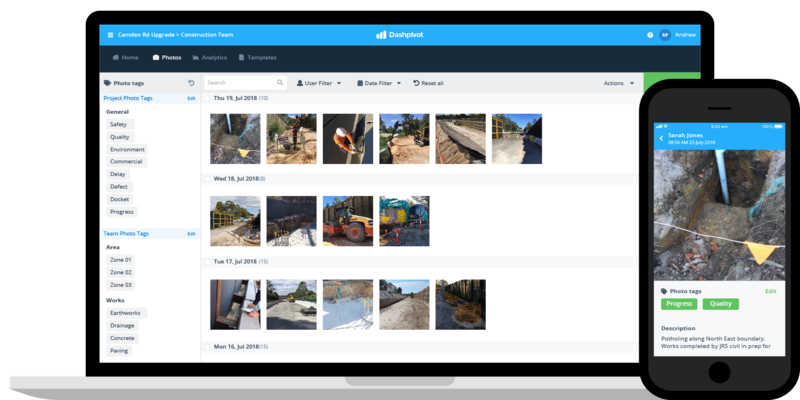 Take photos and videos of hazards inside the Dashpivot app on your phone or tablet on site, so that you don't need to upload them later. Use custom tags to make all of your photos instantly filterable and easily traceable. Since the introduction of Dashpivot to our team, the visibility and communication through photos and online forms has increased exponentially. Automate the hazard and safety approval process to ensure nothing ever gets missed. 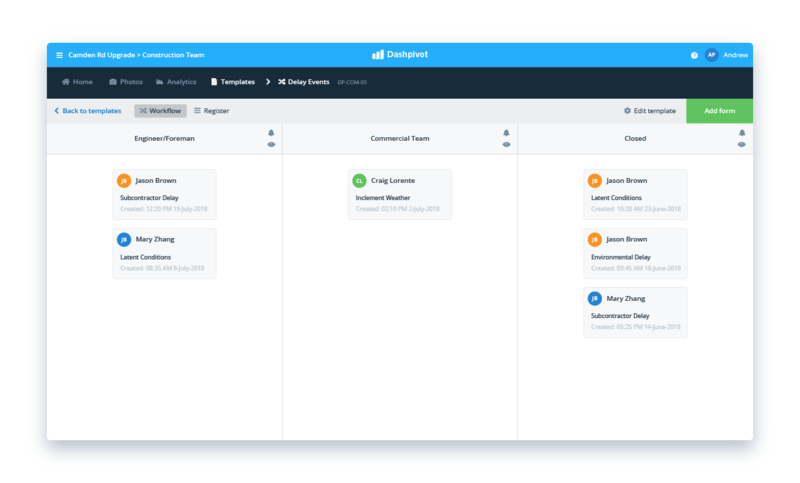 Ensure no hazard ever gets missed by setting up custom workflows for each form or report. Hazards move from step-to-step (e.g from the hazard identifier to the project manager) when the form is digitally signed off, and the person responsible for the next signature gets an in-app and email notification. 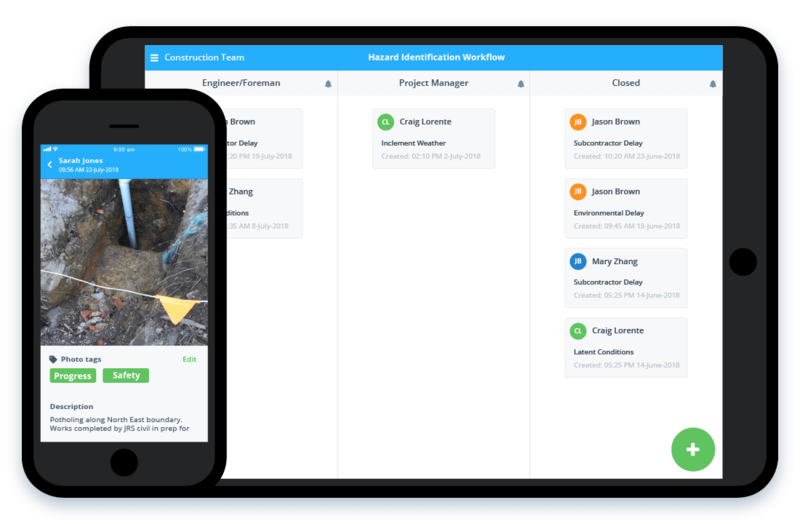 Need to get a safety or hazard report out of the software or app? Instantly print, download or send any form or report as a perfectly formatted CSV or PDF document - automatically branded with your logo and colours. Start improving your hazard identification process with this software for free. Get new hazard insights and general safety analytics with powerful safety management features. 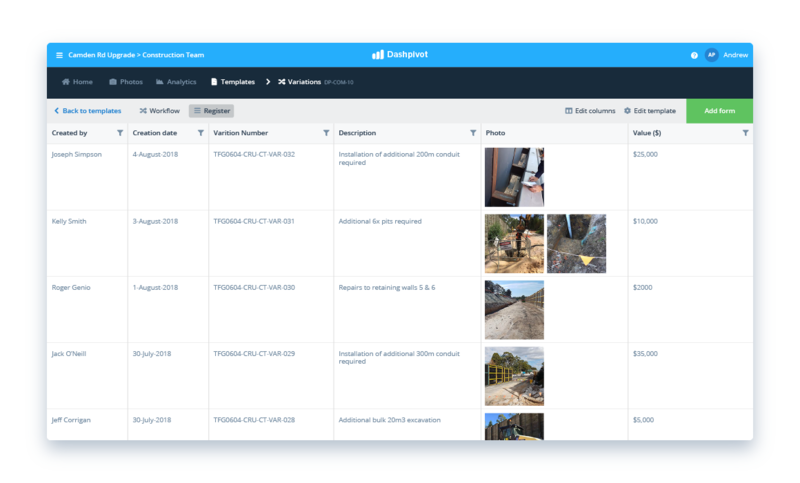 Dashpivot aggregates and all of your hazard data and information into the platform, so you can organise it into charts and dashboards. 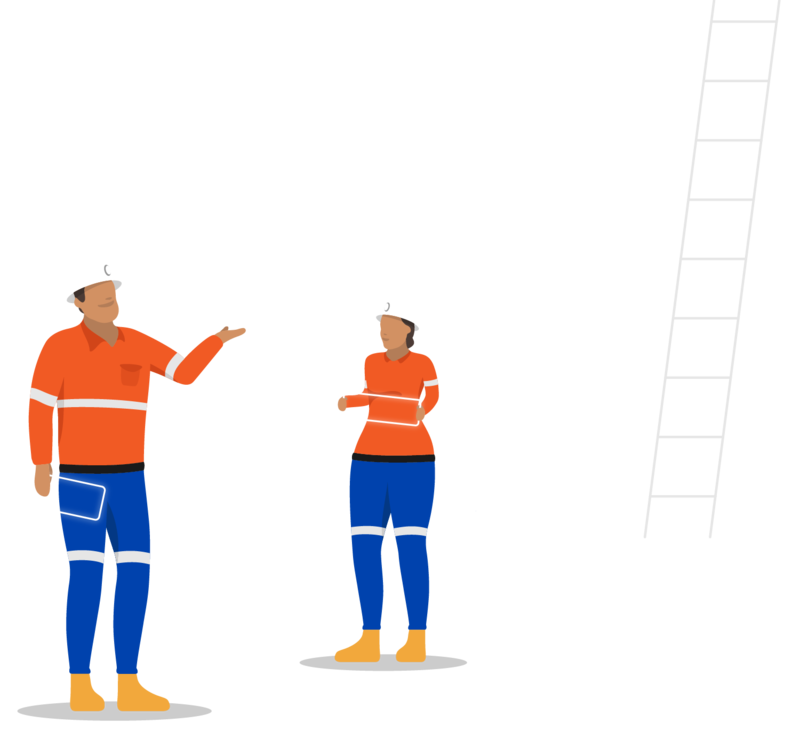 Get new insights on hazard and safety performance to track how your company and teams are performing on individual projects - and across the company. Instantly toggle between three powerful editing formats, saving hours of manual data entry and improving your workflows. 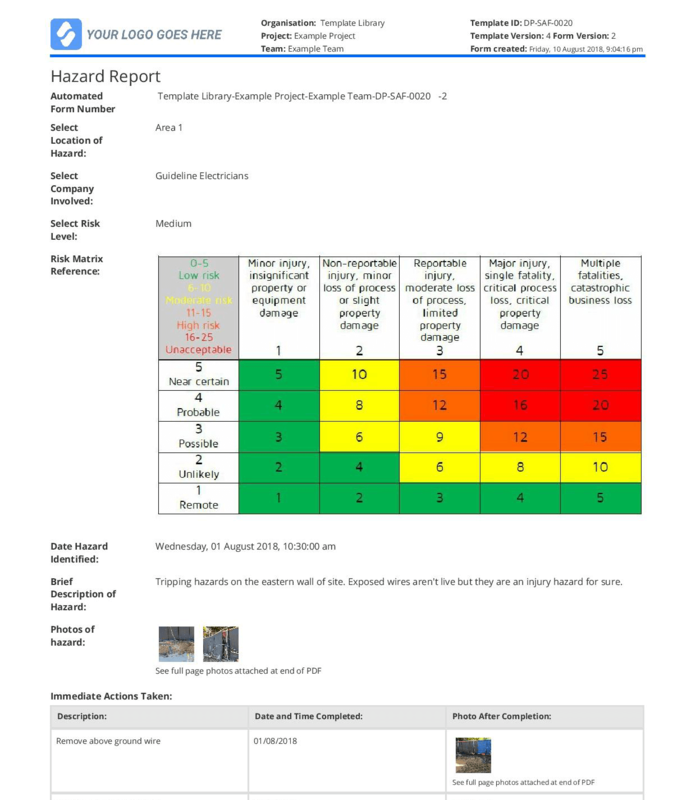 View your hazard identification reports in chronological order. See exactly who's responsible for signoff and where things are held up. 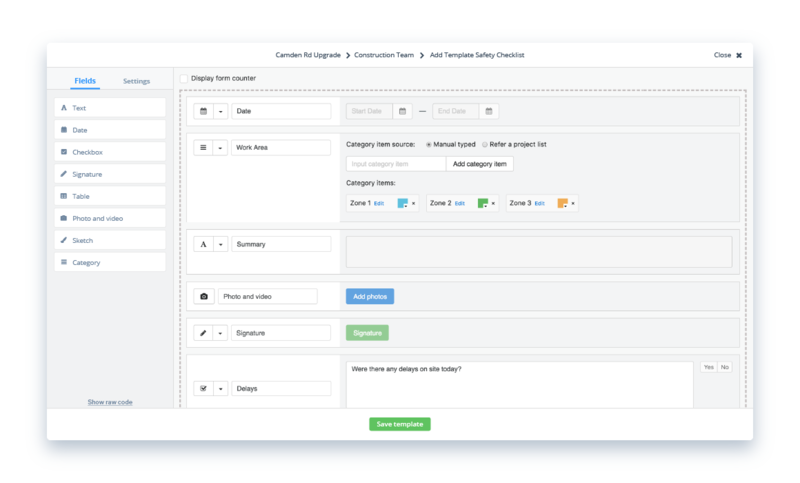 The perfect view for summarising and filtering through all form entries. Do more than identify hazards. 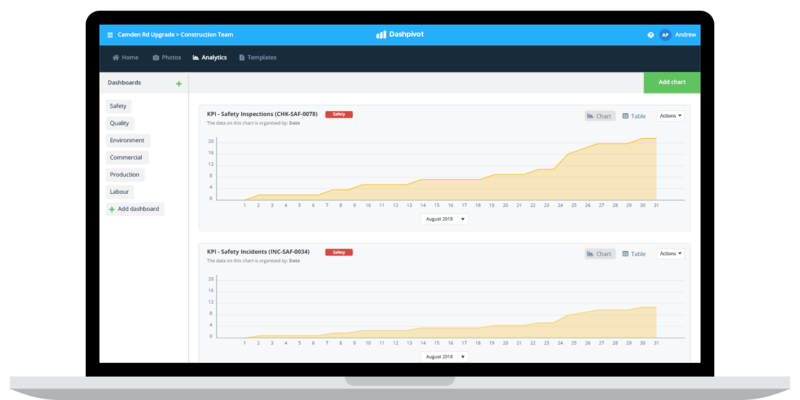 Identifying hazards is just one of Dashpivot's use cases. 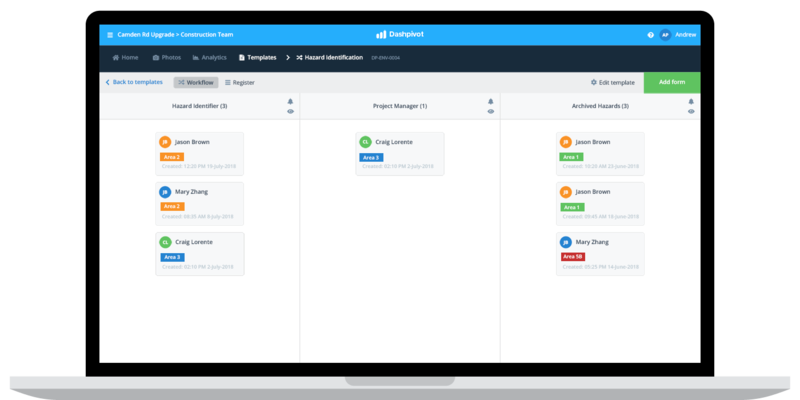 Consolidate more of your safety processes and procedures including safety reports, checklists and permits into a single system - making your data even more powerful. Streamline your hazard identification process with this complete hazard identification tool & safety system.